I have already posted some of the tutorials on the blogger but have skipped the part of editing the template in most of them but I think that most of the new and inexperienced people never know how to edit the template in blogger. 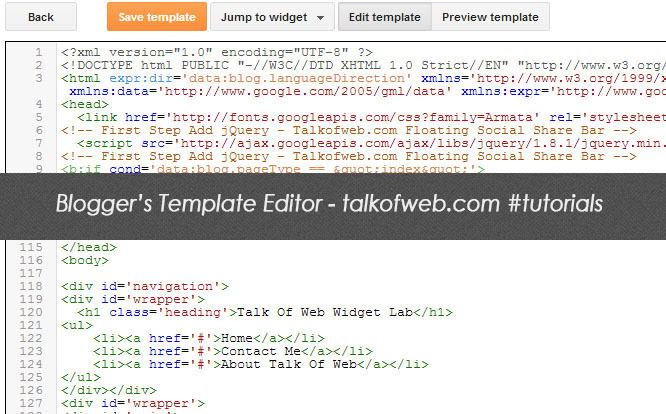 Thus, here is the detailed post explaining that how can you edit the template in your blogger’s blog. 2- After you are logged in, select the blog which you want for theme editing. 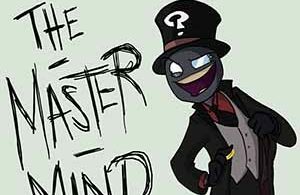 Click the name of the blog. You will be taken to the dashboard of that specific blog. 3- Once you are into the dashboard. You need to click on the “template” in the left pane. 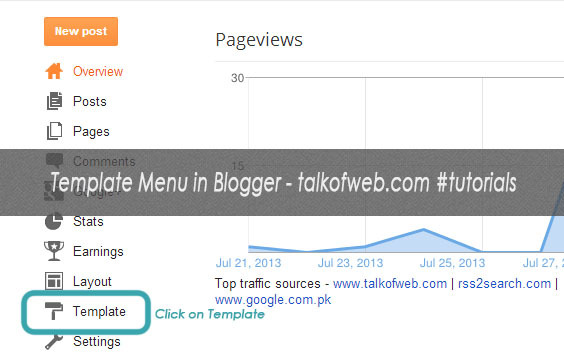 4- After you have opened the “Template“, you can easily see the installed theme for your blogger’s blog. 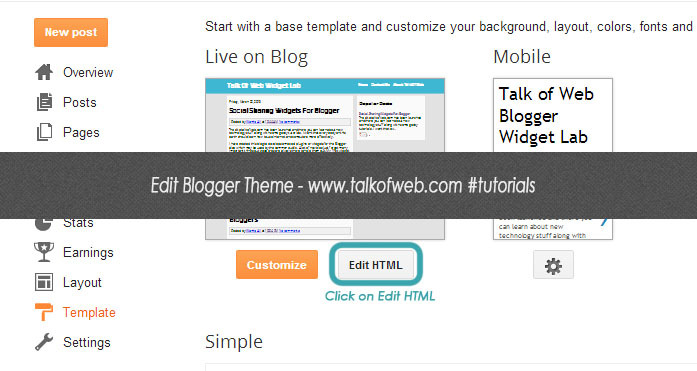 Click on the “Edit HTML” to edit the source code of the theme which I ask in most tutorials to do for the blogger. 5- And now, you will be taken to the source code of your active theme. From here you can easily add the code provided by me in your theme at the desired or recommended location. 6- After you are done with the changes, now you can press save template. 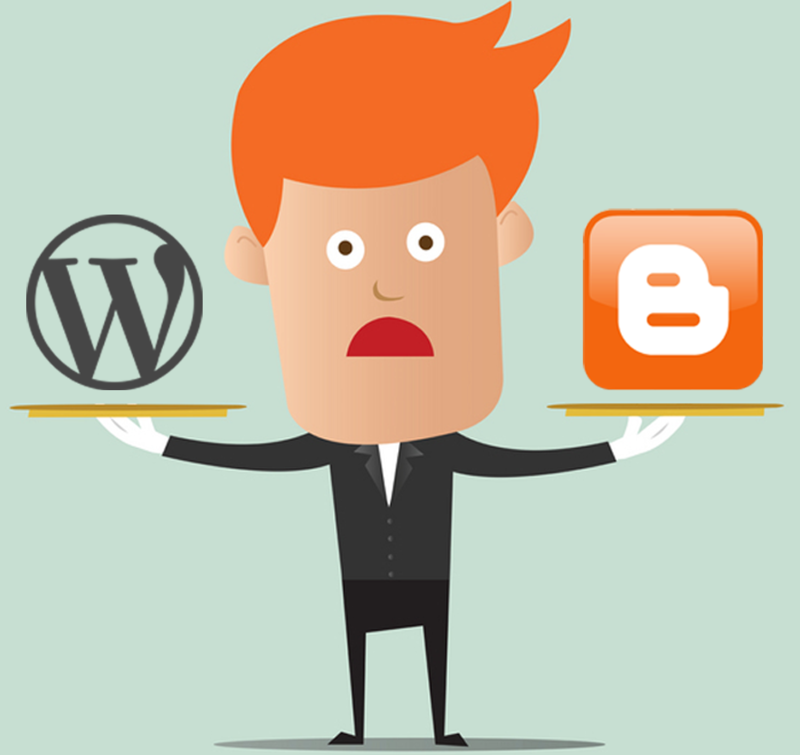 Always be sure that you have the backup of your blog’s theme before making any changes. How can I find specific piece of code in this template editor? Press “Ctrl+F” and then write any code there which you want to find the the template editor for blogger, but be sure that if you want to find any peace of code in widget like posts, then you need to expand every piece of code. To expand every block of code you need to click on that small arrow in the left of the line number. What to do if template editor for blogger shows a red error upon saving? Simply debug the template, you must have done some error in the markup. Like you forgot to add a closing or opening tag for something as blogger is sensitive for the markup. Read the line number in the error and then trace that line number. After that try to find any kind of syntax error around that line number. The error actually tells you that where, in which element the error has occured.